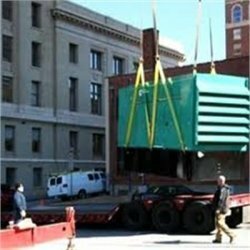 Our past 5 years of experience in the field of providing quality Rental Service of Generators has enabled us to be enlisted among the trusted organizations in the industry. Our array includes Diesel Generator for Rent in Pune, Diesel Generator Set on Rent in Pune, Diesel Genet for Rent in Pune, Power Generator on Rent in Pune, Rental Power Generators in Pune, Generator on Rent for Events and Generator on Rent for Offices in Pune. These are in absolute tandem with the international quality norms & standards. Due to the supreme quality generators procured and supplied by us, we are enlisted among the most preferred choice of the clients across the country. It is possible with our highly talented and skilled professionals who put forth their best efforts in delivering the best array. Besides, we ensure that our technicians and other experts are well versed in their subjects and follow strict industry norms in all the organizational activities undertaken by them. Furthermore, prior to the packaging and final dispatch of the generators, these are stringently tested by our qualified quality controllers. This assures the flawlessness and optimum functioning of our collection, thus, ensuring utmost satisfaction of our clients. As a result, we have been able to gather a huge client base across the nation. We are looking for the queries from Pune.